Tennessee became a state June 1, 1796, the 16th state admitted to the Union. The beautiful marble staircase in this capitol is nicked with bullet holes. After the Civil War, the legislature met to deal with an important matter, which they were reluctant to do. They tried to leave the building, but the guard was told to fire if they didn’t return to their seats. He fired, they returned and voted, and Tennessee became the first Southern state to rejoin the Union, on July 24, 1866. Another important event took place here, when young Henry Burn cast the deciding vote that made Tennessee the final state to ratify the 19th Amendment. That was 1920, and it gave women across the country the right to vote. His mother, a prominent businesswoman, advised him on the matter. 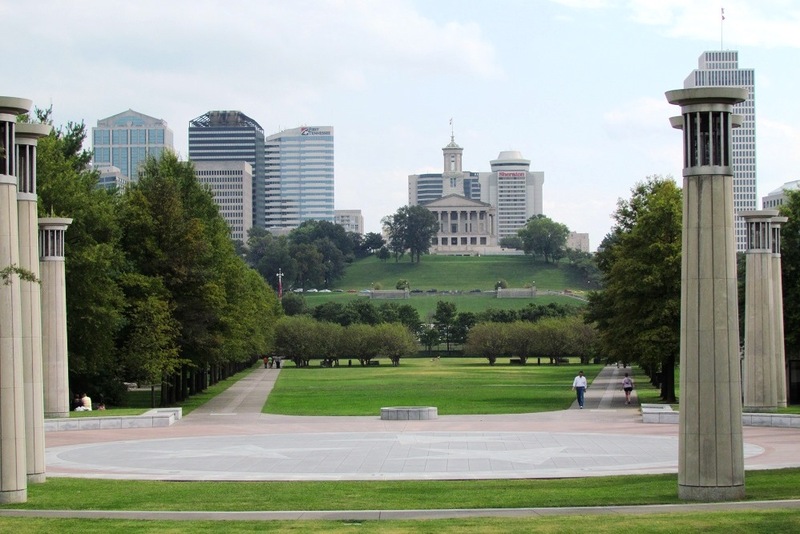 Nashville is a city of diversity – from Andrew Jackson’s Hermitage to the Grand Old Opry; from the giant statue of Athena in the Parthenon to the largest wood carving in the world of The Last Supper in The Upper Room Chapel. The downhome happiness of country music and country food; the flash, the fun, the guitars and the aw shucks grins, adoring fans; the past angling for attention against the current scene; the capitol perched atop a hill, historic yes, but not, by far, the tallest thing in town. Mountains near: Great Smoky Mountains. Clingman’s Dome on the eastern border of the state is the highest point in Tennessee at 6,643 feet.